From a mighty clap of thunder to the subtle rustling of leaves, everywhere we go it feels as though we are immersed in sound. We decided to hunt down some of the planet’s lesser known sonic wonders. For nearly a century, man has been baffled by the sound of singing sand dunes. The songs they emit are almost as diverse as the countless theories about how they occur. 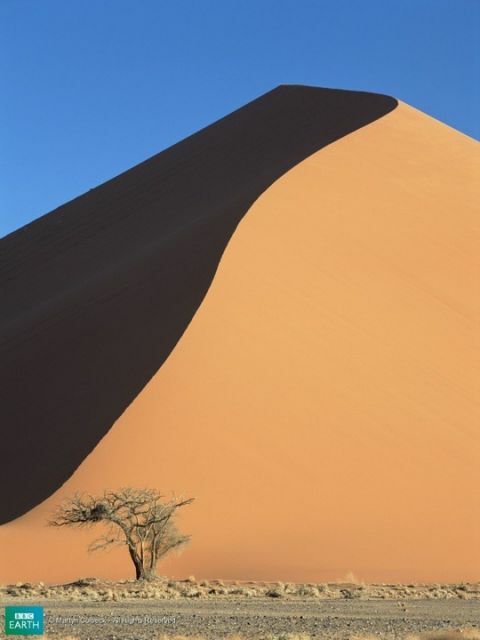 The sound is produced when the sand on the surface of dunes avalanches. It was once thought that these sounds were produced by the friction between the grains. More recent studies have revealed that the sound continues after the sand has stopped moving and the song that the dunes sing varies depending on the time of year. Some researchers now theorise that the sound is caused by the reverberation between dry sand at the surface and a band of wet sand within the dune, hence it changes seasonally. There are approximately thirty locations around the world where these booming dunes can be heard; the earliest records seem to date to Marco Polo’s time in the Gobi Desert. However you don’t need to adventure among the dunes to hear them sing; the strange sound, said to be like the drone of a low flying propeller plane, has reportedly been heard up to ten kilometres away from its source. The ferocious noise made by popping or cracking ice maybe a worrying sound to the lay ear—particularly if you are stood on top of it at the time. However to researchers working in the field of climate science the groaning of the polar landscapes is music to their ears. Scientists have started to record the sound that the ice makes as it recedes, using hydrophones to measure the amount of glacial melting. Mapping the sea floor using sonar is not a new phenomenon but in this new application instead of sending pulses of sound to the sea floor and timing their return, glaciologists just simply listen. 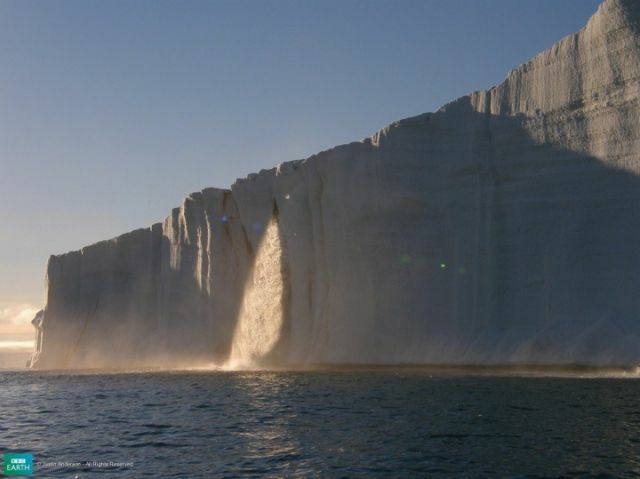 Looking at the interface between ice, ocean, and bedrock it may be possible to use acoustics to measure the glacial melt. You can almost hear the glaciers heave a sigh of relief. The familiar sounds of the sea are captured in the incredible soundtracks of natural history documentaries as well as inside seashells when they are held up to our ears. The sound transports us to the blue planet that covers over 70 percent of the Earth’s surface. In the summer of 1997, a number of hydrophones in the Equatorial Pacific Ocean picked up a bizarre new sound phenomenon. The underwater microphones picked up a signal that rose rapidly in frequency for about a minute before disappearing. The sound was picked up repeatedly by US government microphones for the duration of that summer but has not been heard since. It became known as ‘The Bloop’ and was detected by sensors over a range of 5,000 kilometers. Initial tracking suggested that the sound profile of ‘The Bloop’ was comparable to that of a living animal. However it was far louder than any whale song ever recorded. The mystery remains just a drop in the ocean of the hundreds of mysterious sounds that make our planet a sonic wonder.